Another fairly hefty sized haul this week continues the recent trend of ridiculous amounts of games being accumulated each week! And just like last week there’s a mix of GameStop finds and eBay pick-ups. I have decided that I need to slow down on the eBay buys. Not really because of the money issue, but because I’ve not been getting the greatest deals on some of these games. And yeah, the money does make a difference. So from now on I’ve decided I’m going to look online for some stuff, but just throw out some low-ball bids and see what happens. Strangely enough, it’s already amounted to 4 games :p So get ready for another huge Roundup next week. 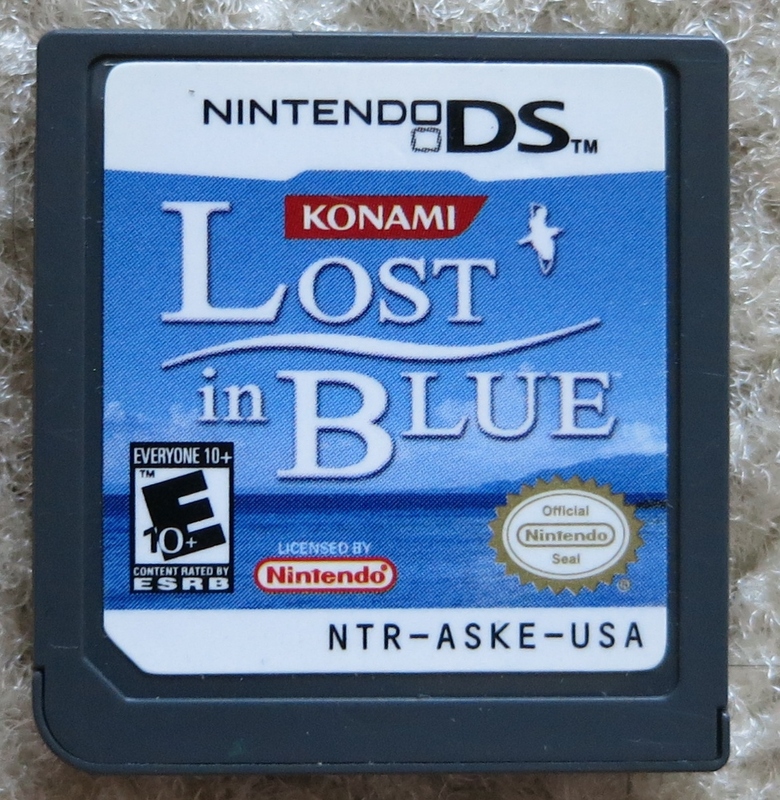 Though it’s a cartridge only, I’m pretty happy to have Lost in Blue. It was a fairly early DS game, and one with an interesting concept: you are stranded on an island with a companion, and you must fend for yourself against the elements in order to survive. When I was trying out the game to make sure it worked, I ended up fishing for a bit, discovering some mushrooms I could you as spices to make more appetizing dishes, and collect firewood (despite it raining when I did). Interesting concept. Also, bonus points to any series which has released games on different systems: there’s a Wii game in the series as well I need to look out for! I spent well over an hour playing this one because it’s so interesting. It’s essentially a retelling of the classic Wizard of Oz story, but spun into a turn-based RPG with heavy Japanese influence. You’re team is, naturally, lead by Dorothy and her companions the Tin Man, Scarecrow, and Cowardly Lion. Each character has a specific enemy type they are strong against, and during combat you get four actions to use for the entire party. This means you can attack with Dorothy all four times, or once with the much more powerful Tin Man, for example. Also kind of strange are the controls, specifically while exploring the world. Instead of a traditional movement system, the game incorporates a virtual trackball you flick with the stylus on the touch screen to move about the world. I’m very interested in playing this one, and am looking forward to getting more time with it soon. 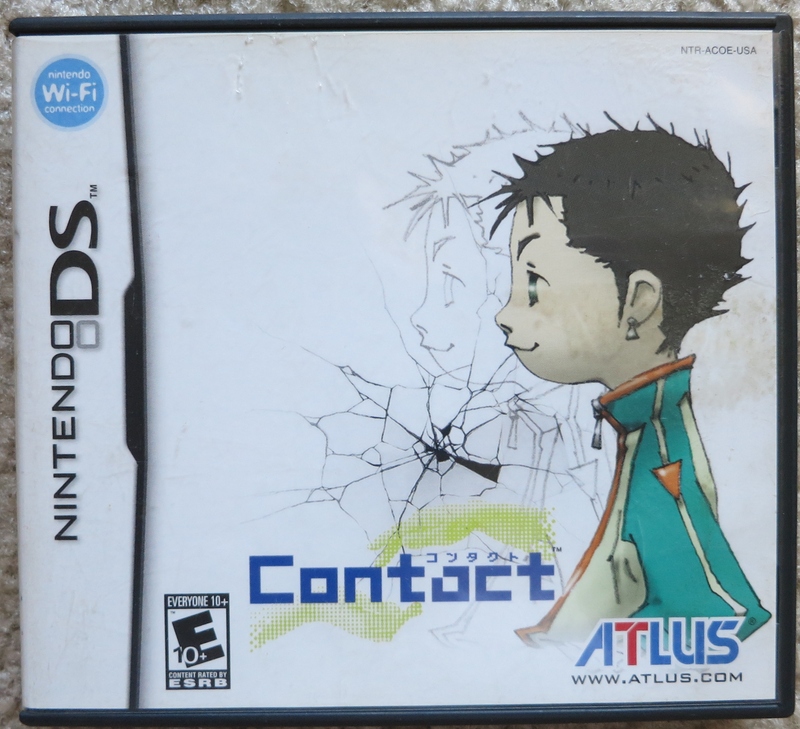 A super early DS game by Atlus, Contact isn’t really what I thought it was going to be. The game doesn’t seem to take itself too seriously as all, breaking the fourth wall within minutes of the start of the game. There are RPG elements there, but not in the most traditional of senses. Also interesting to note, the game was developed by Grasshopper Manufacture, the same company I mentioned last week as the company that is headed by Suda51! Admittedly the artwork and logo design on the cover of this game are kind of blah, but the gameplay is fresh. 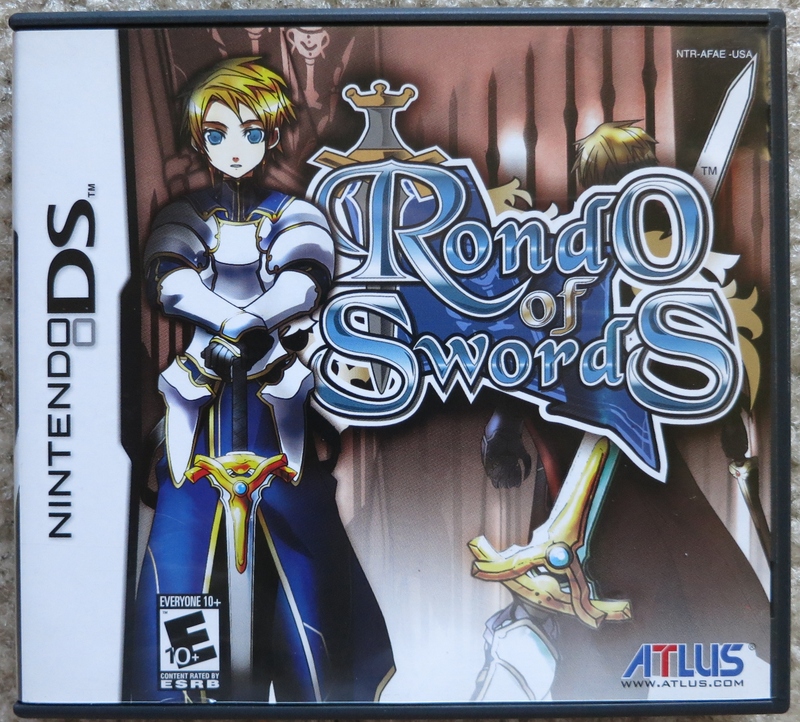 Rondo of Swords is a Real-Time Strategy game, but with a small, albeit game changing, twist. Instead of plotting out the course for your fighters, then attacking an enemy, then maybe turning around or going into a defensive stance, you just move your character through an enemy character’s space, which causes you to attack them. Slide through two enemy spaces, and you attack both. Pretty neat, fairly easy, and an interesting mixup to the genre. Didn’t know this game is an enhanced remake of a browser based game. For just $2 however, it’ll easily find a place in my fledgling PSP collection. In the game you run around each stage, jumping, sliding, and bouncing off walls to collect points en route to the exit. It’s a simple concept, but I’m sure it’ll get out of hand when a few dozen levels have passed. Also, there is a DS version of the game, which I believe features new and unique stages. This was an absolute steal for the price in my mind! 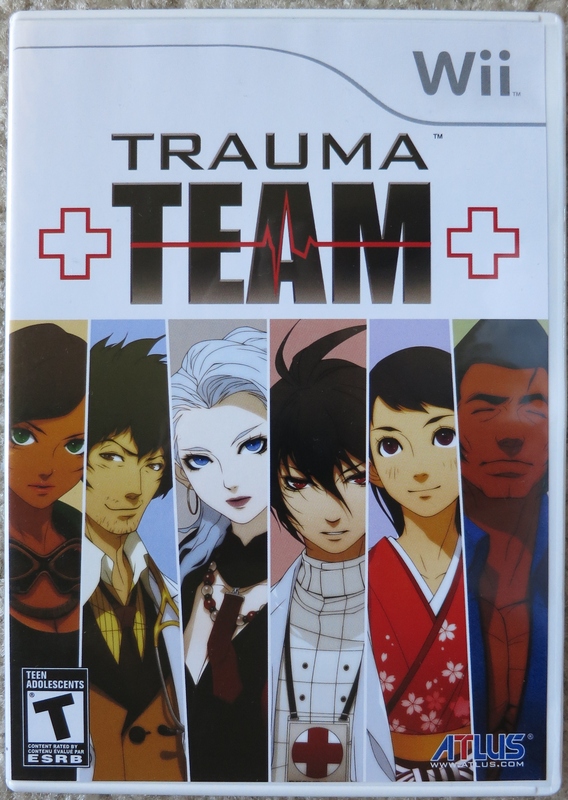 Whenever I’m looking for games in the wild, I seldom come across a copy of Trauma Team on Wii. The first two games in the series on the console are readily available and can probably be bought at a GameStop, but this game is always noticeably absent. I did find it once back in Indiana at Disc Replay, but the sucker was something like $40! Anyway, at just under $15 I’m more than happy to shell over the cash and take a chance on the eBay auction that didn’t actually list any pictures! 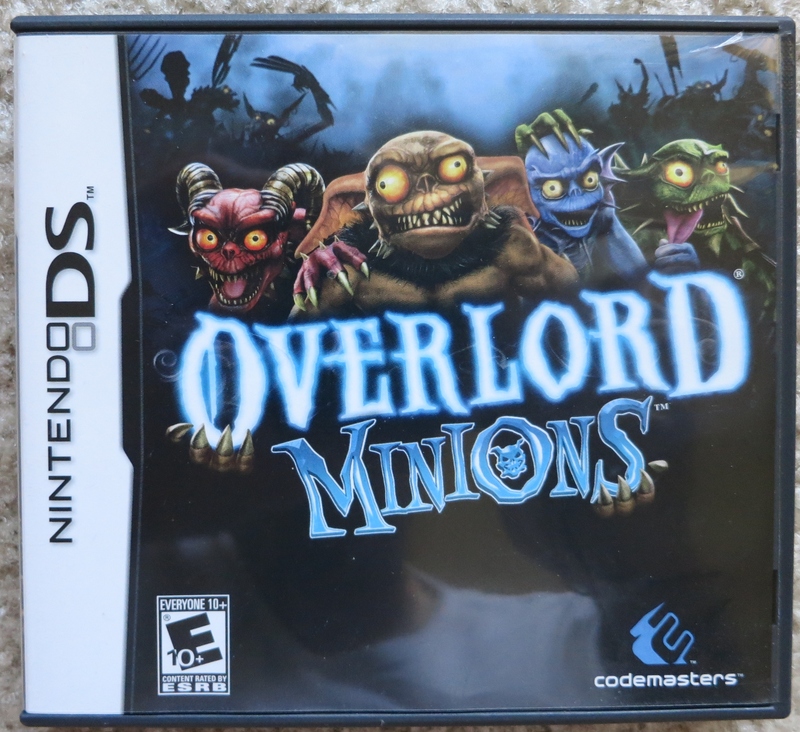 I don’t remember where I was reading this, but I recall checking out a review on this game shortly after buying it that compared it unfavorably to another Wii shooter, Martian Panic. 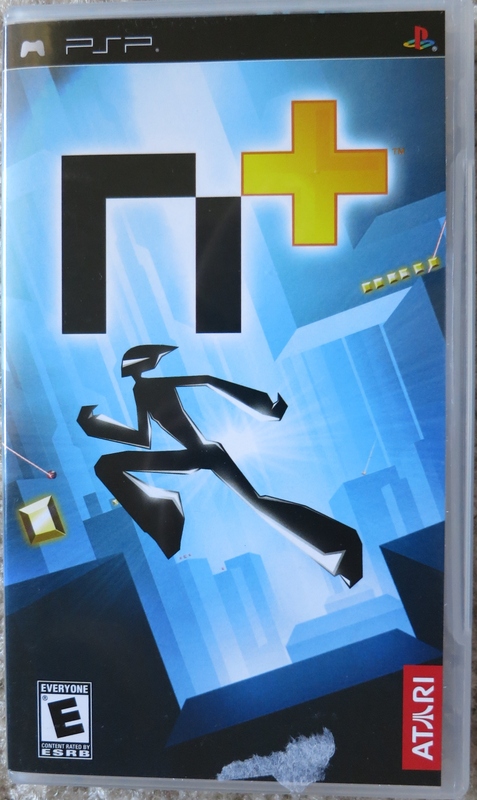 The reviewer said this game came out after Martian Panic and was made by the same group of developers, but wasn’t nearly as good. The reviewer pointed out bland levels and missed opportunities scattered throughout the game. But most of all, the reviewer spoke so highly of Martian Panic that I simply have to see why he thought this crazy budget title was amazing. Of course that means now that I want it I’m never going to find it again, despite having seen it frequently in the past and thinking nothing of it. Dollar games are where it’s at! 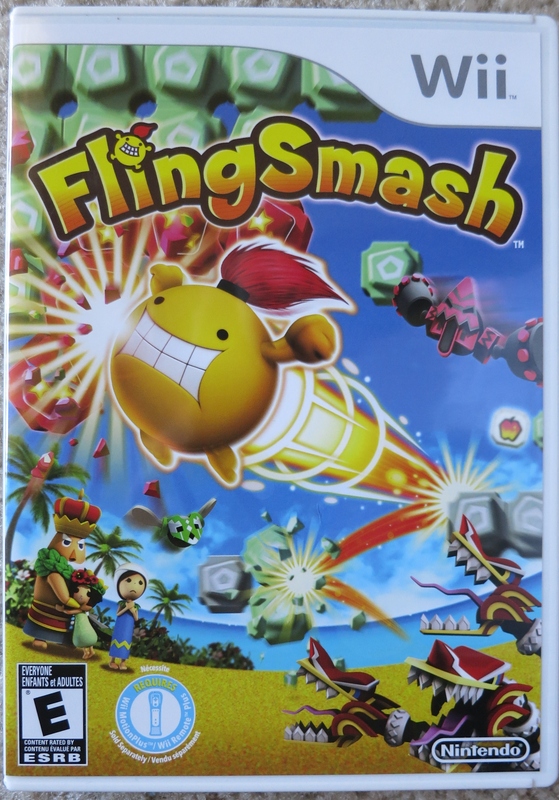 FlingSmash requires the use of the Wii Motion Plus accessory/controller, so if you don’t have it you can’t play the game. 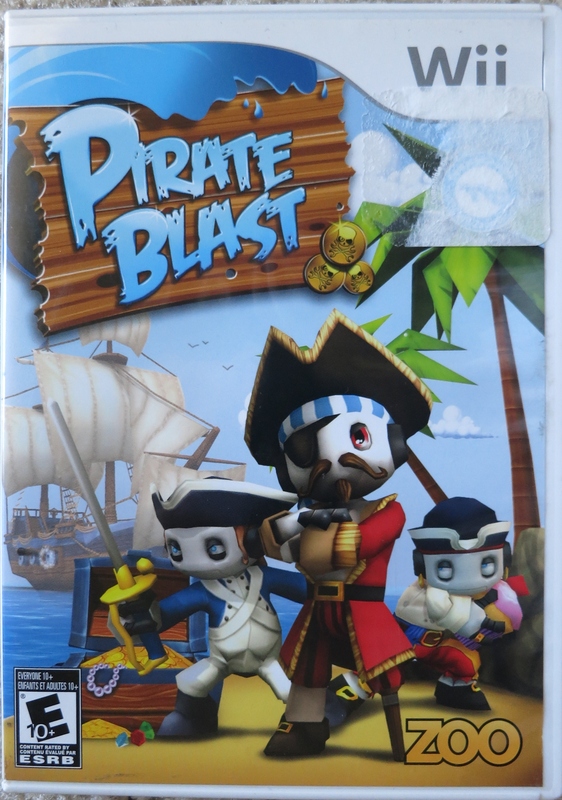 That probably limited the sales of this game (even though some retail packages of FlingSmash were bundled with a Wii Motion Plus controller), and is likely entirely responsible for the aftermarket price being so low. GameStop isn’t going to sell too many copies of the game if more than half the people buying it will return it because it doesn’t work because they don’t have the proper controller. What that means for me though is a pristine case, excellent disc, all the inside materials, and a new game for a dollar! Thanks, consumerism! The biggest find of the random trip to Campbell has to be Back to the Future: The Game. 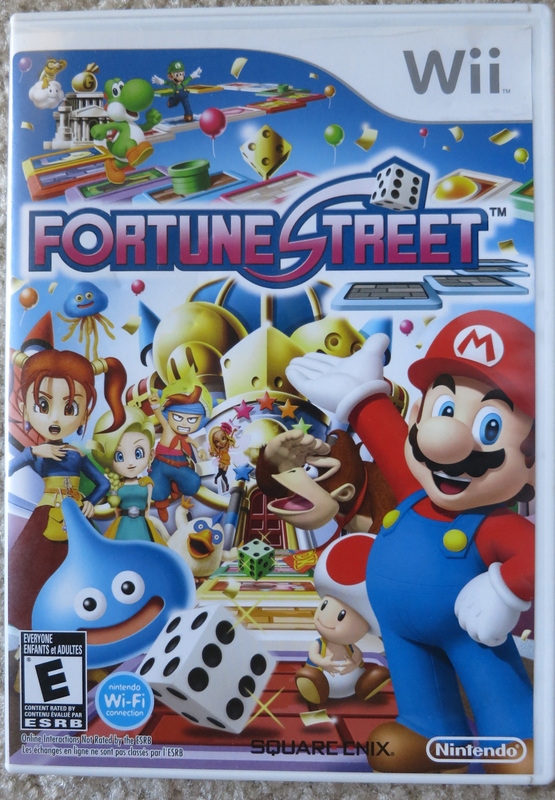 Not only does it round out my collection of Tell Tale Games games on my Wii, but it is also one of the harder to find games in the company’s library, and at a damn good price! 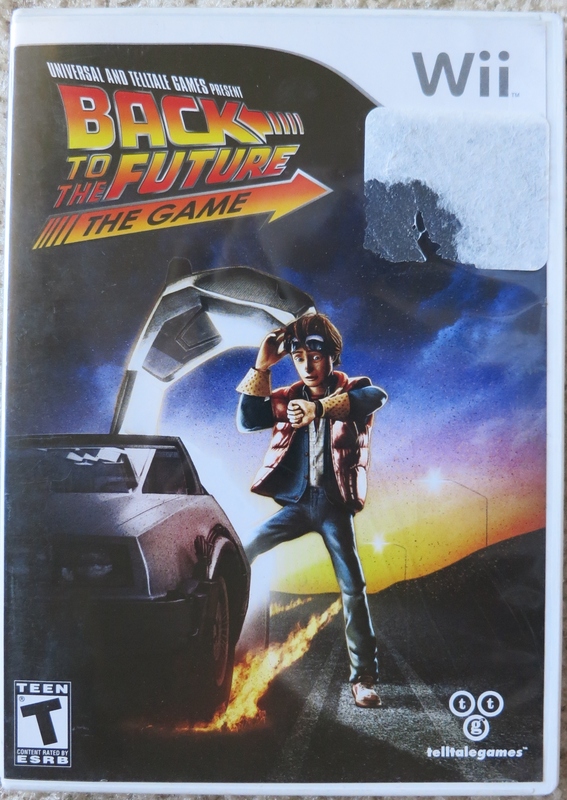 The game itself is an entirely new story based on the Back to the Future film franchise, and it even licensed the likenesses of Michael J. Fox and Christoper Lloyd for character models in the game. It follows the now-standard Tell Tell Games style of gameplay, incorporating player choice into driving the narrative forward. It received great reviews upon release too, so I’m definitely looking forward to trying this one out. This game was paired with Dig Dug below as part of a lot of games. Right when I saw the auction I had to bid. 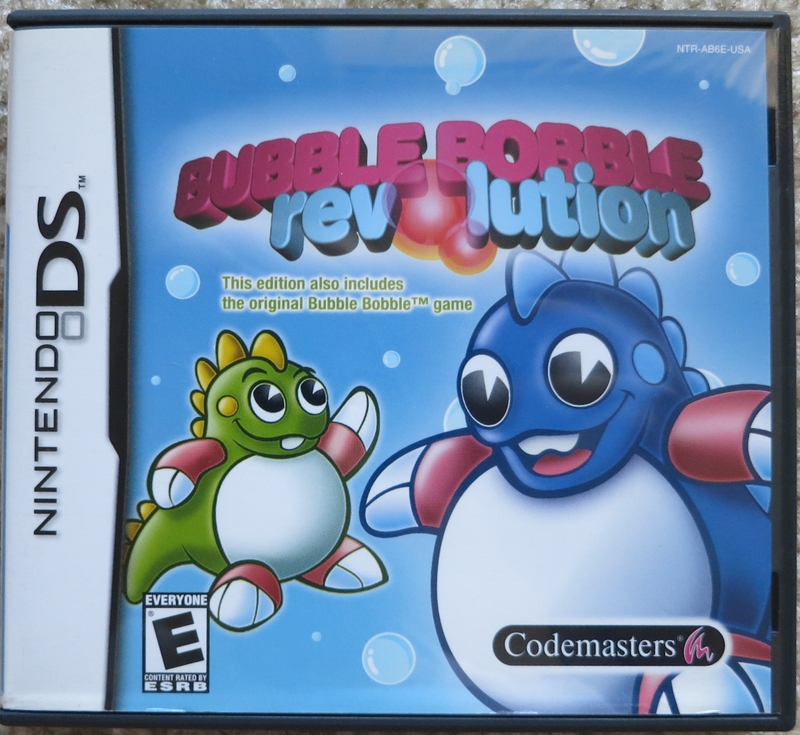 For one, both games I didn’t even knew existed on the DS, and another being I simply love the Bubble Bobble series. Another weird factoid about this game, apparently there’s a game breaking bug around the 30th level (out of an apparent 100). It doesn’t allow you to progress any further, rendering the latter 3/4 of the game unplayable! Codemasters apparently issued an apology to purchasers and said they’d resolve the issue, but to this day that hasn’t happened! I bet I can make it to level 30, so I want to see for myself! 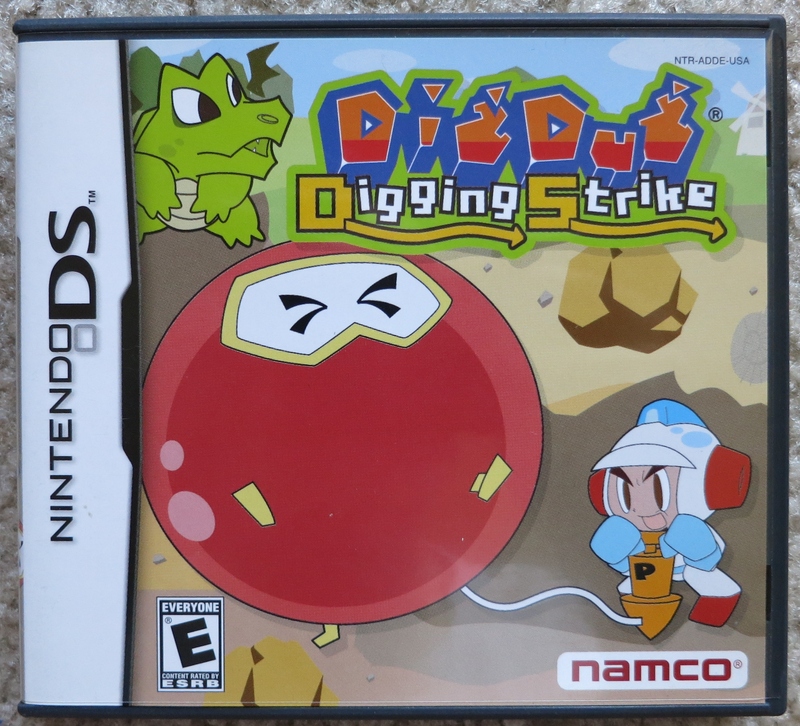 Compared to Bubble Bobble Revolution, Dig Dug: Digging Strike is the better game simply because it doesn’t have any game breaking bugs associated with it. Also, according to the back of the box, you can play some remixed versions of classic Namco games in this game! I’m curious as to what they are. I haven’t played a version of Dig Dug in a long while, and, come to think of it, I may have only played the original version of Dig Dug and nothing else! Fun fact: The main character of the Dig Dug games is officially the father of the main character of the Mr. Driller games! I spent a short amount of time with this game ensuring that it works, and I was thoroughly unimpressed. The controls were terrible! I couldn’t get my minions to go anywhere I wanted them to go, and a simple action like crossing a bridge was a truly arduous task. The visuals were underwhelming at best, and overall it just left a bad taste in my mouth. I do, however, praise developers and production studios for creating spinoff games on different platforms than the original series’ native consoles. It does make for a fun history of the game series. With the exception of Death Jr. II: Root of Evil on PSP, I believe I now have the entire Death Jr. series! They did release a Wii remake of Root of Evil which I do have, but I would prefer to also own the PSP version, since it’s usually considered the better of the two in terms of play control. 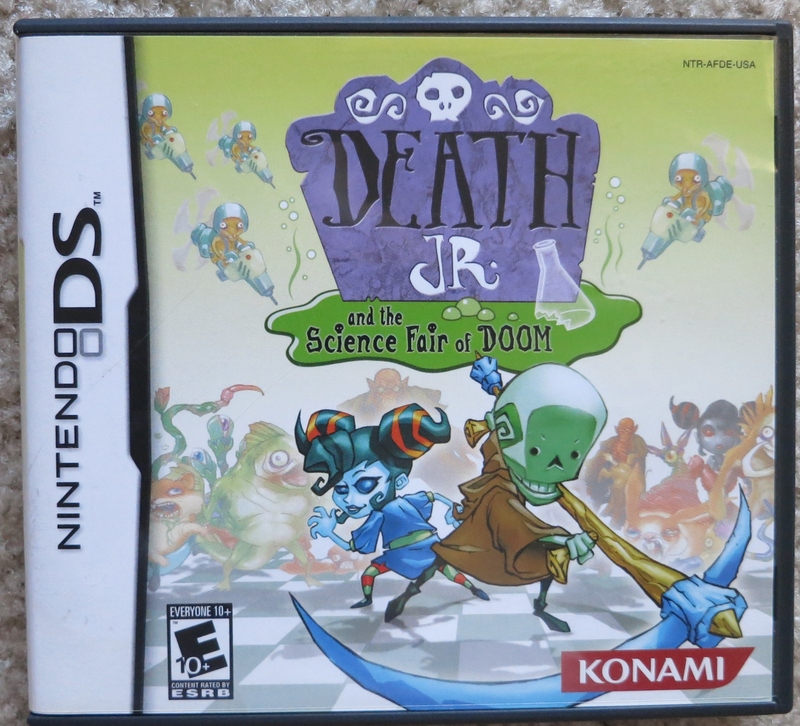 The entire Death Jr. series has been sort of a letdown for gamers: each game seems like it’ll be something pretty cool, but they all turned out to be kind of ordinary. This game, exclusive to the DS, has rather choppy visuals which I’m afraid might hamper the experience yet again. What do you do with the loose DS cartridges? Just drop ’em in sandwich baggies? I have a few that I got a few years ago, and I just threw them inside another DS box with a cart already in it, but I couldn’t tell you which box holds what now. 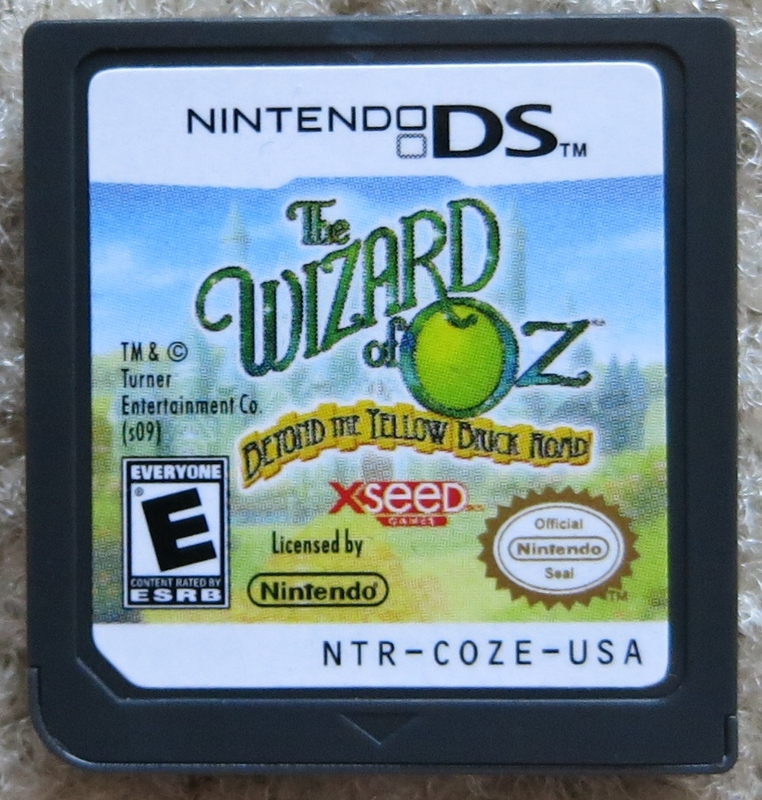 I buy empty DS boxes and print covers for the loose carts myself.